Features extended Matching Questions covering the following subjects: General Pathology, Head and Neck, Neurology and Psychiatry, Cardiovascular and Haematology, Respiratory, General and Radiology. This book features extended Matching Questions covering the following subjects: General Pathology, Head and Neck, Neurology and Psychiatry, Cardiovascular and Haematology, Respiratory, General and Radiology. All questions have been written by experts in their field and are heavily involved with undergraduate medical training. Contains teaching notes provided alongside each answer to help the reader clearly understand the subject matter. 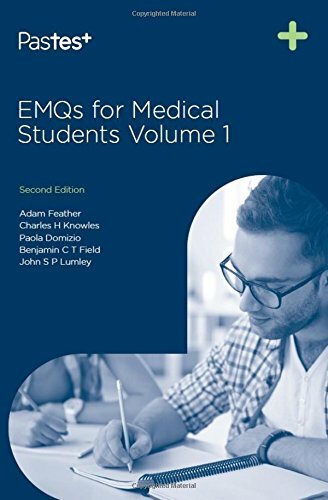 Also available - "EMQs for Medical Students Volume 2, Second Edition" (ISBN 9781905635382), and "EMQs for Medical Students Volume 3: Practice Papers, Second Edition" (ISBN 9781905635443). All questions from Volume 3 are available online free with the book, at website.